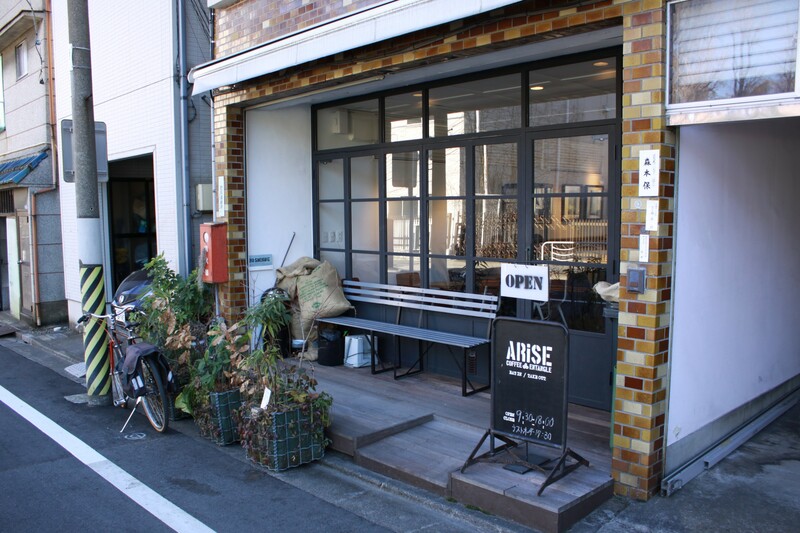 Arise Coffee Entangle is an uber hip coffee shop next to Kiyosumi Gardens. 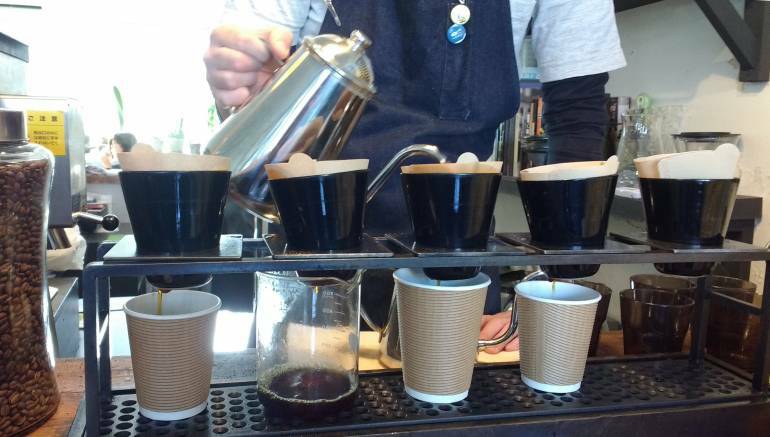 Don’t ask for espresso – this is an old-school drip coffee establishment. When ordering your coffee you can choose from a range of beans. Depending on the origin of the beans, your cup of coffee will cost between ¥390 and ¥520. Don’t expect your coffee in a hurry either – it has to finish dripping. Beans are also available for sale, but you’ll have to be a coffee fanatic to pay ¥750 to ¥1,050 for 100 grammes of beans. The interior of Arise Coffee Entangle emphasises eclectic style over relaxing comfort. 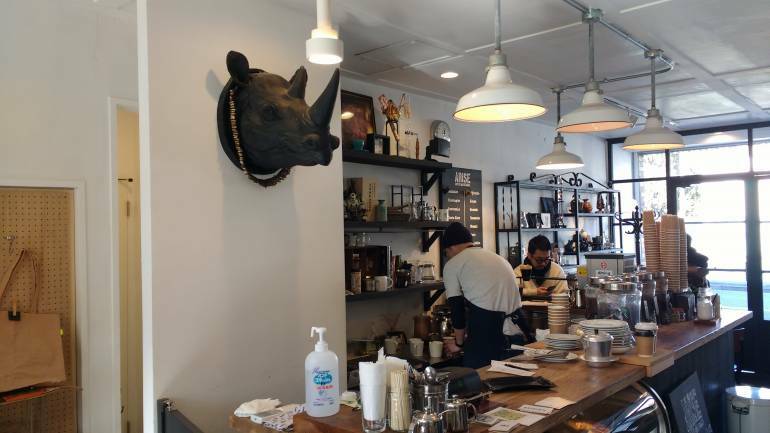 The staff also assured me that the Rhino head mounted on the wall is not real – and laughed at me for asking.